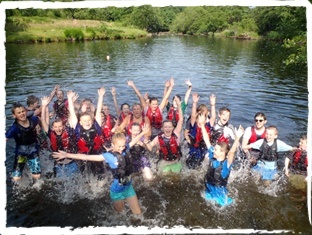 Lledr Hall is Salford City Council’s residential adventure activity Centre. We are located in the heart of the Snowdonia National Park with the mountains, rivers and lakes on our doorstep. It is the perfect location for going off and having adventures in the great outdoors. We offer a wide range of activities from ropes courses and canoeing on-site to climbing on local crags, riding bikes through the forests and scaling gorges with dramatic waterfalls. Throughout all these adventures you’ll be safely led by our highly experienced and talented staff team that have between them years of experience and all the qualifications in this specialised area of teaching. Our aim is for every individual to enjoy their time with us and to go away with lots of fantastic memories that will stay with them for the rest of their lives. The grounds of the Centre extend to over 12 acres and include lawn, garden and mature woodland all bounded by the stunning river Lledr. 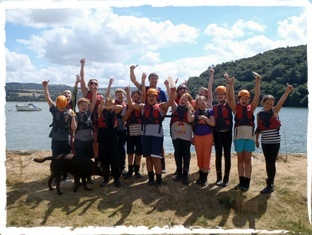 In the grounds we have developed a range of activities including low and high level ropes courses, orienteering courses, a canoeing and kayaking pool and even our very own gorge walk. These on-site activities provide the perfect environment to introduce the skills and attributes we teach that enable students to progress out into the surrounding countryside to enjoy adventures in the mountains. We tailor make our programmes to meet the aims and objectives of each group ensuring the maximum benefit for each and every individual. Taking part in the well led and carefully managed adventurous activities promotes increased self-confidence, motivation and independence. On all our activities, course participants work together with others, improving their inter-personal skills, to achieve success. This success demonstrates firsthand the benefits that come from working with others to achieve shared goals. After a day of activities everyone comes back to our warm and welcoming Centre for a hot shower and hearty meal of home cooked food provided by our dedicated domestic team. We regularly cater for groups of up to 36 individuals and up to 6 leaders however there is some scope for bigger groups, please give us a ring. The sleeping accommodation is in dormitories and these vary in size from 4 to 12 beds. They are located on the first floor and this area is divided into two halves, one side for males and the other for females. The central area is for visiting staff with one of the staff bedrooms and a comfortable lounge. Although lots of the groups that come to us are from the City of Salford we welcome groups from further afield. I hope, after looking through our website you’ll be keen to come and visit us but if you have any questions or concerns then please pick up the phone and give us a call, we’re happy to help. 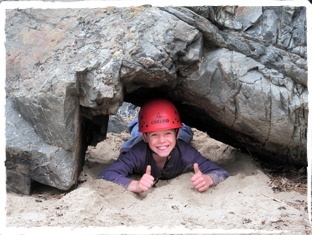 "We embrace activities and experiences which are adventurous..."
Need help finding Lledr Hall OEC? Click here for directions and maps.